What Are the Best Bedroom Windows? Bedroom Windows: Which Styles are Best for Your Home? 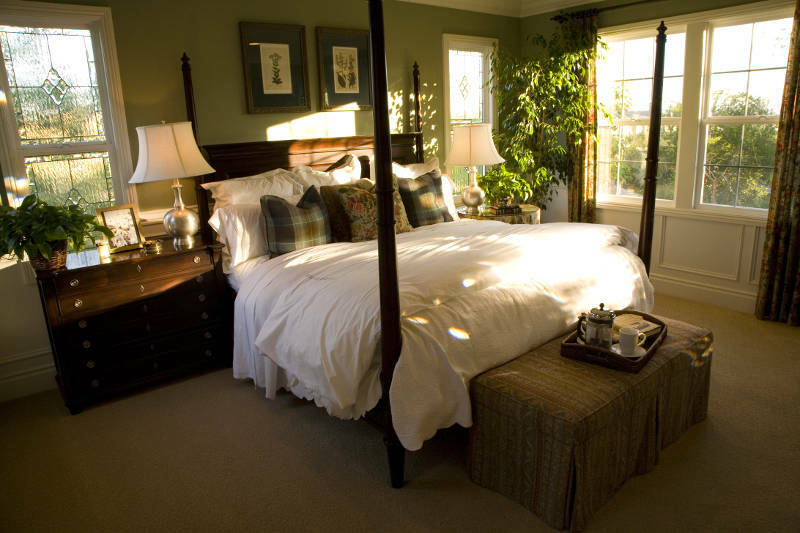 Windows can make a huge difference in your bedroom. They’ll allow natural light into your home, give you complete control over the room’s air flow and can tie everything together. It’s easy to see why you need nice bedroom windows. 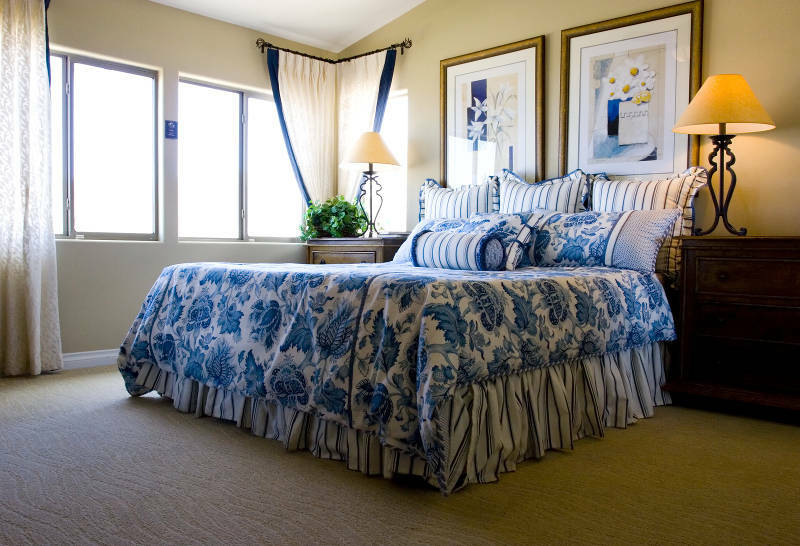 In this article, you’ll learn which window styles make the most sense for your bedroom. Before we get to window styles, let’s focus on something else quickly – whether or not your window is operable. What does that have to do with your bedroom you ask? A lot really. According to Time, the University of Pittsburgh School of Medicine has determined that it’s better for your health to sleep in a cooler room. Being able to open your window gives you better control of the temperature. You’ll also be able to control the air flow in your room. Windows that provide ventilation help prevent your bedroom from becoming too humid or stuffy. Another thing you should look for in bedroom windows is whether or not they’re energy efficient. The last thing you want is for heat to escape through your windows during the frigid Chicago winters. Double pane, argon gas filled windows should do the trick. Since Argon is denser than the air, heat won’t be able to pass through. Plus, some vinyl windows come with insulated frames. That means that your heat won’t be able to escape through the window frames. Combine that with argon gas filled windows and you’ll have an extremely comfortable bedroom. Making your bedroom more comfortable isn’t the only thing energy efficient windows do. They also save you money on your heating bills. This is because the furnace doesn’t have to work as hard to regulate your room’s temperature. There’s also a tax credit you can get for buying energy efficient windows. You don’t want ugly bedroom windows. They need to look great both inside and out. While some homeowners believe a traditional wood look is the way to go, we prefer vinyl replacement windows. This is because you have more customization options available – including wood grain finishes. Plus, for wood windows to keep their traditional look, they need to be painted and stained every few years. You’ll never have to do this with vinyl. After 10 years, they’ll still look as beautiful as they did on day one. This is because the colors are “baked-in” to the vinyl at the factory. Also wood windows are prone to warping and rotting. There’s nothing uglier than disfigured, rotting windows. You don’t have to worry about any of that with vinyl windows. They’re resistant to warping and rotting. 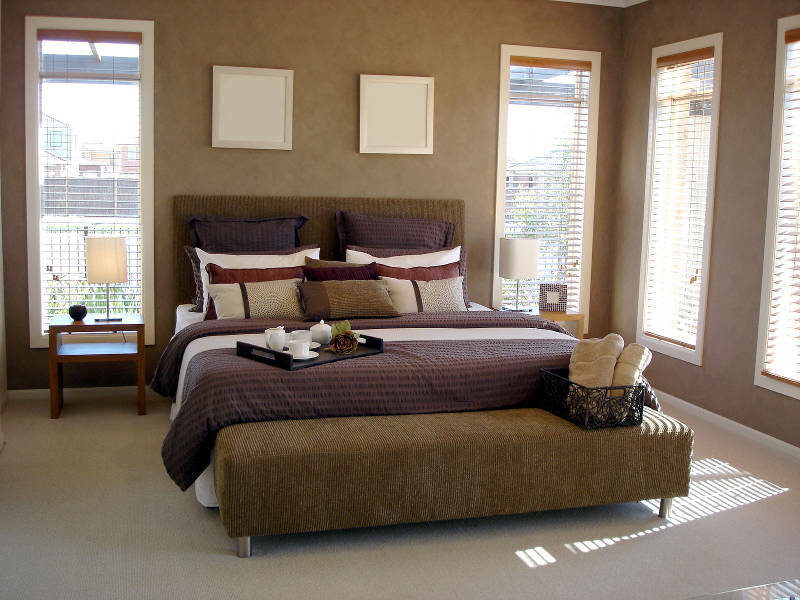 When you think about windows in your bedroom, there are a couple styles that come to mind. This is because they’re the most popular window styles. What are these window styles you ask? 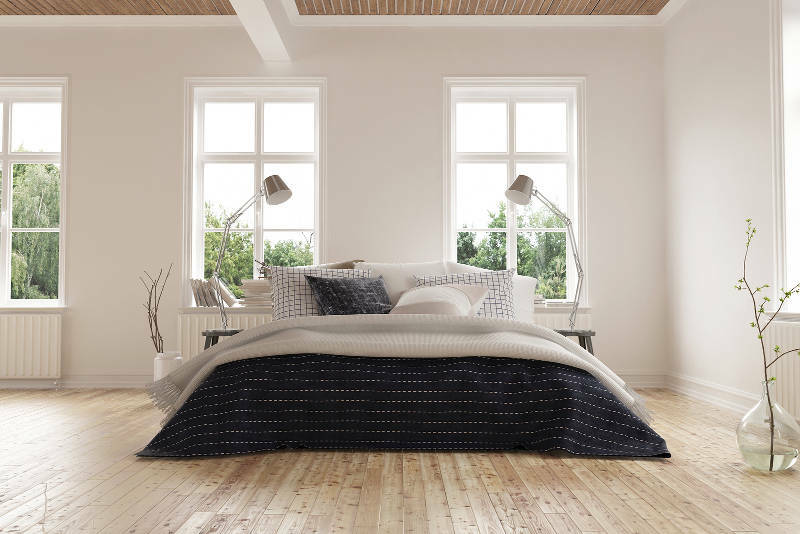 We’ll tell you why most homeowners gravitate towards these window styles for their bedroom. Not only are double hung windows popular for bedrooms, they’re the most popular window style in general. They look great anywhere in your home. But why are they so great for your bedroom? The major reasons are because you can control the air circulation and temperature of your bedroom. This is because double hung windows can open from the top or the bottom. No more humid or stuffy bedrooms when you’re trying to sleep. Much like double hung windows, casement windows give you total control over the temperature and air circulation in your bedroom. This is because they open with a hand crank. So open your window a little or crank it all the way – the choice is yours. Just because you don’t see these window styles in a bedroom very often doesn’t mean they aren’t great choices. While you won’t have the same control of air flow you would with double hung or casement windows, awning windows still open up to allow fresh air into your home. Since they’re hinged at the top, you can open your awning windows during any weather conditions including rain and snow. This is because awning windows create an awning effect when opened. Rain and snow will slide down and away from your home. Since architectural windows come in several different shapes and sizes, you can really make some cool, unique windows. Rectangles, squares, semi circles, you name it. The only problem with architectural windows with a bedroom is that they don’t open. You’ll have zero control over the air flow in your room. That’s why it’s best to pair architectural windows with other window styles. You usually find sliding windows in the kitchen. But why not try sliding windows in your bedroom? They’re essentially double hung windows turned on their side. You’re still able to control the air flow and temperature of your room. Sliding windows are also very easy to open. So easy that you can open them with only one finger. So if you ever partially wake up to a humid room, you’ll still have no problem opening your windows. While they take up much more space than the other window styles mentioned, you’ll love how they look in your bedroom. Just make sure you get some window treatments so the sun doesn’t wake you up at 5am on a Saturday morning! If you’re interested in a combination of windows, then bay or bow windows are the way to go. Bay windows consist of 3 windows – a picture window in the middle flanked by double hung or casement windows on each side. Bow windows consist of 3-5 window and can be any combination of picture and casement windows. Obviously you can see how these windows take up a lot more space. That’s why they’re usually found in living rooms and family rooms. That being said, if you have the space, they bring so much to the table. For starters, you’ll have more natural light in your room without sacrificing the ability to control air flow. Also, bay and bow windows create a window seat perfect for displaying pictures, knick-knacks or even used as an extra place to sit in your bedroom. Sliding patio doors are a bit tricky. You’ll need to have access to a deck or balcony from your bedroom. If you do, then a sliding patio door is an amazing addition to your bedroom. You’ll maximize the amount of light you let into the room. Not only that, but you can treat them like a giant sliding window. If you have a screen door, you can open your sliding patio door and enjoy a comfortable breeze. Feldco offers all of these window styles in vinyl. So get a free quote today and enjoy your new bedroom windows for many years to come.